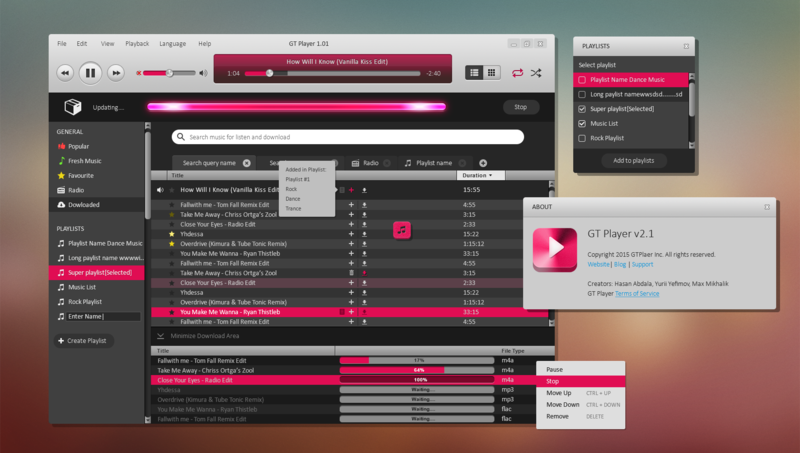 GT Player is a music application – music player, developed for Windows. 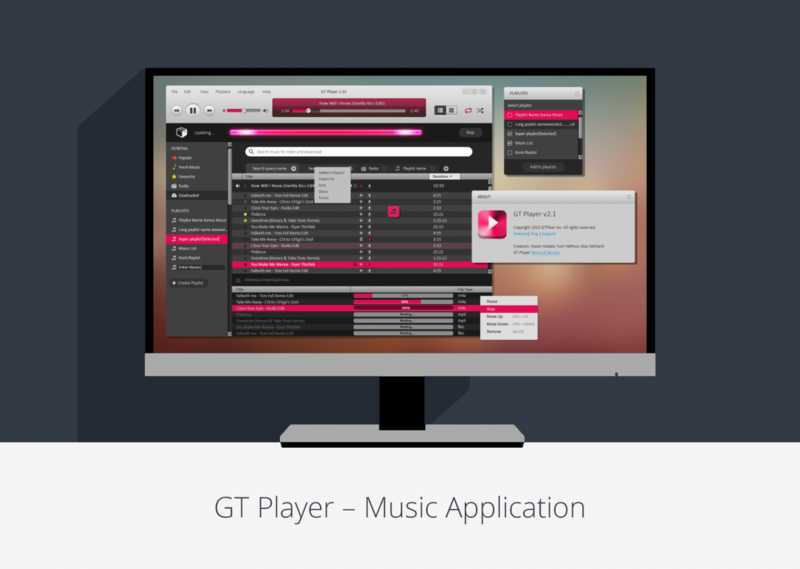 In this instance our client wanted a modern and multifunctional music application that will correspond to the demands of the young generation, as well all other groups of users. Thus, we were tasked not only with creating visually pleasing music application, but also one that accommodates a lot of functions. Our work on this music application was accomplished in compliance with tight schedule, per request of the client. First of all, we conducted thorough market research and competitive analysis to determine vital features that had to be included in the application. We also accomplished UX analysis in order to create positive UX for future users. After that part of work was done, we have created a prototype which was looked at and approved by the client. Further on we went ahead with the development of the music application design, in which we used animation, icon design, logo development and HTML coding. 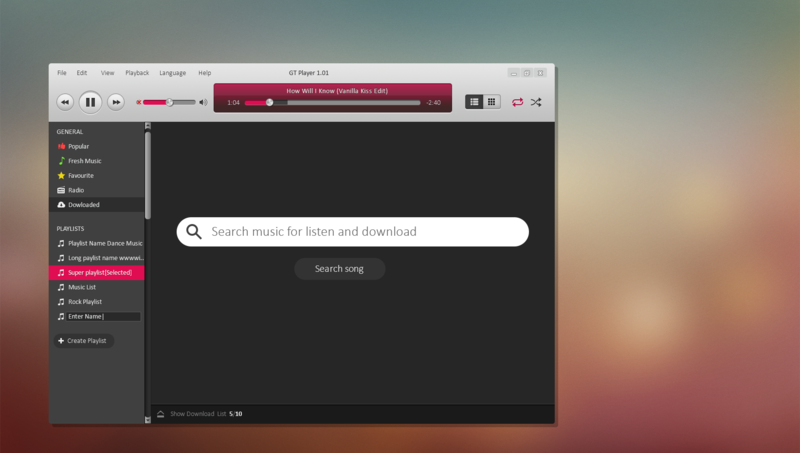 As a result, we have built modern and multifunctional music application – audio player that allows users to download and search for their favorite music as well as listen to the radio. 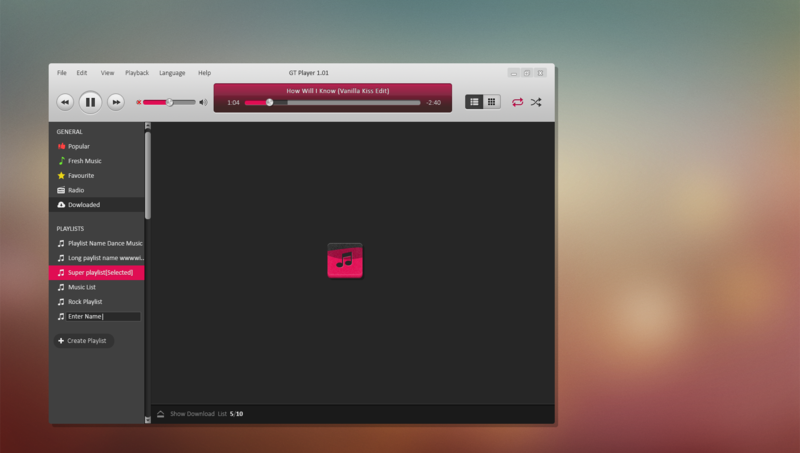 Using this desktop application, the end users can create playlists of their favorite tracks. 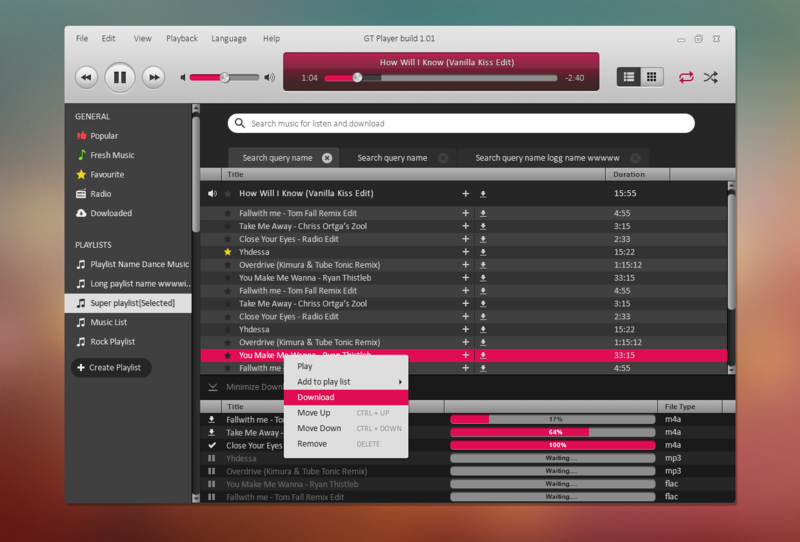 This application also scans social networks to provide users with new and modern music tracks, allowing them to stay in touch with new music tendencies. Client was fully satisfied with the finished product, as we have accomplished all his requirements by creating dynamic and multifunctional music application.